Today marks the 100th birthday of Czechoslovakia. On October 28, 1918, after centuries of oppression under Austro-Hungarian rule, the Czech people realized their dream of freedom and self-governance. Although other dictatorial rulers tried to squash their independence, (Nazis from 1939-1945 and the Soviets from 1945-1992), the Czech people and their spirit have risen above every obstacle. Centennial celebrations have been occurring throughout the year, culminating in this weekend’s events which include parades, fireworks, and an open air concert by the Czech Philharmonic. This seems an appropriate moment to share with you, faithful readers, that I too am embarking on a new beginning. 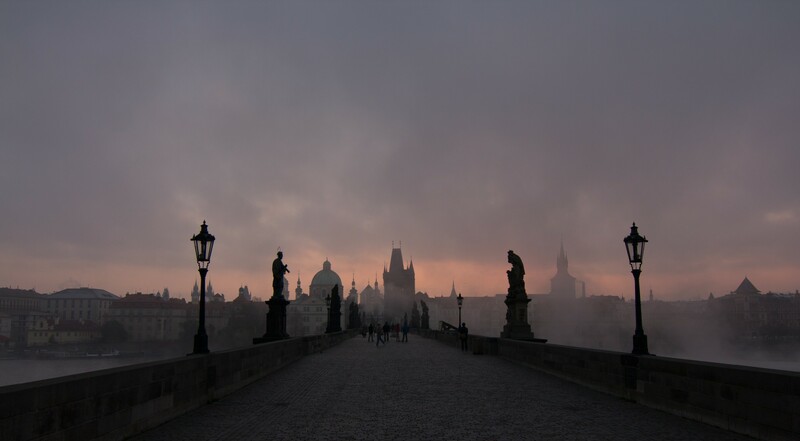 The Bohemian Freethinker is making preparations with the hope of moving to Prague, where I will teach English for a year. My anticipated departure is in the summer of 2019, to begin their school term in September. It is not too common for someone 59 years old to uproot and move to a foreign country, and it will certainly not be a “walk in the park” to do so. But I am going to give it my best shot and I will be journaling my experiences along the route over the next year. My hope is that if there is anyone out there reading this who thinks it is too late to try to make a dream a reality- please, think again. It is never too late to become the person you were meant to be. p.s. Dear Readers, what new beginnings have you embarked upon lately? Please share in the comments! It’s a dilemma. What do you do when you are the caretaker of the skeletal remains of between 40,000 and 70,000 people? Such was the legacy and dilemma left to a small chapel, now known as “The Bone Church” in the town of Kutna` Hora in the Czech Republic. As the saying goes, “necessity is the mother of invention,” and The Bone Church, is certainly testimony to, (at least one man’s), inventive creativity. Originally part of the Sedlec Abbey which was founded in 1142, the Bone Church sits atop the site of the Abbey’s old cemetery, a very popular spot in which to be buried in the day. Its popularity was due to the fact that the cemetery was rumored to possess an unusual Holy relic soil from Golgotha, the site of Jesus’s execution. After many centuries, including the unprecedented ravages of The Black Death in the mid 14th century, the cemetery became filled to capacity and overflowing. When the present day Bone Church was built around 1400, thousands and thousands of skeletal remains were exhumed and stacked as there was no other place for them. The task of bringing order to the “bone yard” fell to a wood-carver named Frantisek Rint, in 1870. Apparently, left unsupervised and to his own devices, Mr. Rint utilized his artistic talents and arranged the bones into the interior decorations and adornments that we see today. Dear Readers, please share any macabre places you have visited! This chandelier contains at least one of every bone found in a human skeleton!